Discover the routes of the castles and relive the scenes of medieval life. Here begins your adventure. Choose the path you want castles among all that we offer. 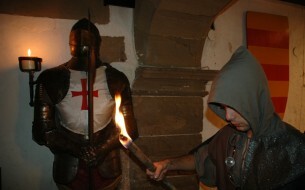 Castle Tours, guided tours, recreational activities, dining, sports training near or inside the castles. Call us and we will prepare an activity measure. 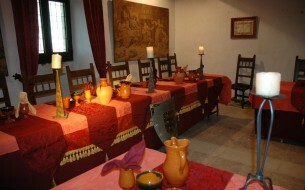 Route a day for small groups of 4 to 6 people which offers the possibility of doing an interactive return to the medieval period in Catalonia, visiting three historical references: Montblanc, Poblet and Montsonís. In Montblanc will see the best example of catalan medieval defensive architecture. In Poblet, will visit the monastery, a jewel of religious architecture which is World Heritage since 1998. and finally Montsonís, which is the headquarter of the Catalan Cultural Castles Foundation and the dwelling of the Albi Barons. 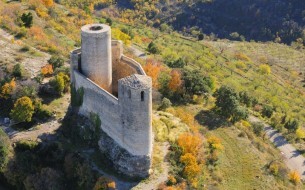 A half-day route offers the opportunity to visit the Montblanc walls, the Royal Poblet Monastery and the Milmanda Castle. Montblanc will see the best example of medieval defensive architecture Catalan. Then, go to the Zion Coastal wineries that have the newest technological advances and eventually MontsonÃs. Castles Cultural Foundation headquarters and home of the Barons of Catalonia Albi. Three days and two nights, all included, for maximum enjoyment respecting the interests of each person: Birds and culture, a delightful duo! You can visit different rooms and walls: stables, kitchen, storage as well as the important Romanesque church.